If you have decided that you need an android docking station you also need to know, what types of android docking stations are out there and which docking station is more suitable for your needs. Firstly, you need to know where you want to use the dock. Basically, there are two categories of android docking stations – Home and Car. Each one of which has its own docking station types that suits different situations. Now lets see, what are Home and Car docking stations and what great features they offer for us. smartphones or tablets and can play music, radio and different audio files from phone via built in dock speakers. You can listen to your favourite music tracks and albums or watch movies and enjoy much louder and clearer sound quality from your docks speakers than from your phones speakers. These docks comes from various manufacturers like Philips, SONR Labs, iHome and others, this offers variety of devices and options for customers. Sound power and quality differs between each model, starting from small, low power speakers to high power, sound quality speakers with subwoofers and additional speakers that are similar to home music stations. Auxiliary input – Most phones today offer option to connect them to docking station with AUX cable. In opposite to Apples older 30-pin connector or newer lighting cable that supports audio out, android device micro USB connection does not offer such option and therefore cannot be used directly to stream sound to docking station. This can be avoided with using AUX port and cable to stream audio and playback sound on stations speakers. However, there is even more better and lately popular technology to connect your device to dock right now – Bluetooth. docking stations comes with bluetooth support, some of them using only bluetooth to stream audio from android device to docking station and not AUX cable. Bluetooth offers one superb feature – your phone actually does not need to be connected to dock with cable to be able to play music via docks speakers, you can be anywhere around dock in distance, where bluetooth is able to connect your device with dock. On the other hand, the purpose of docking station is to put you phone in it and let it stay there and use all functions dock provides, so some people will find bluetooth technology not such a big advantage, but its certainly cool, if you can sleep in bed with your phone in hand and listen to your favourite tracks on docks speakers and still be able to switch songs with your phone not connected with cable or inserted in docking station. Sound quality of music streaming with bluetooth is good, in many cases you will not hear any differences between direct cable and bluetooth connected device sound playing quality. Both – Probably more common option that most docking devices provides is using both AUX and bluetooth connections. This offer the advantages of bluetooth connections and opportunity to connect other devices that do not support bluetooth technology to docking station. 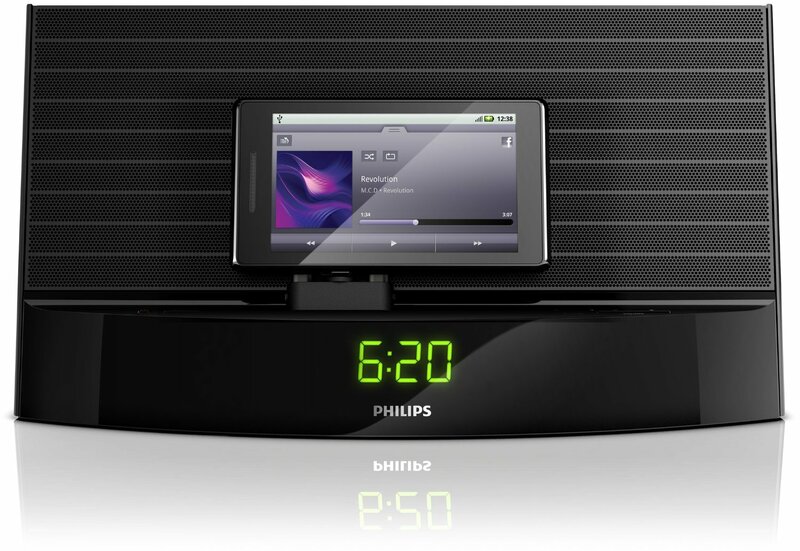 One feature of android docking stations is alarm clock. 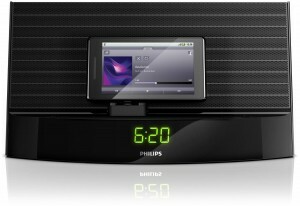 There are docking stations that offers only alarm clock option. 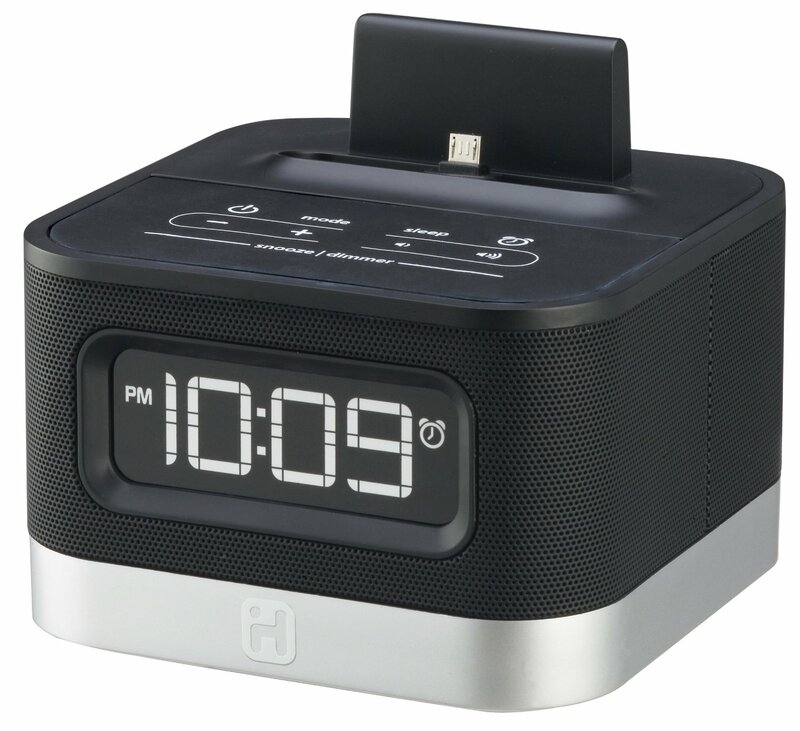 Alarm clock dock can be used as regular alarm clock and can help you to wake up in mornings with your favorite song and plays them through alarm clock docks speakers. Android charging docks allow you to charge your device by putting it on the dock and connecting dock to electric power. Some charging docks uses rechargeable batteries and accumulators to charge your phones battery. While other types of android docking stations may be good on what they do, when they are used all together in one device makes them truly the best multipurpose docking station. Whether you want your docking station to play music from your smartphone or tablet and be charged at the same time, or be used as alarm clock to wake you up in the morning, these multimedia docking stations can do all of that. Most of the popular android docking stations also comes with beautiful design and looks good in your bedroom, kitchen, living room or anywhere else. Some of these devices even have their own android apps to improve docking station usage and user experience. Most basic feature that android device needs in car is a holder. 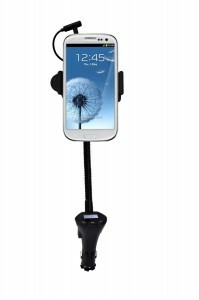 There are many docks available that can hold android device with different mounts starting from air vent holders to windshield rotating holders. Different android smartphones have different sizes and therefore need different size docks. Also universal docks can be found that suits more android devices. 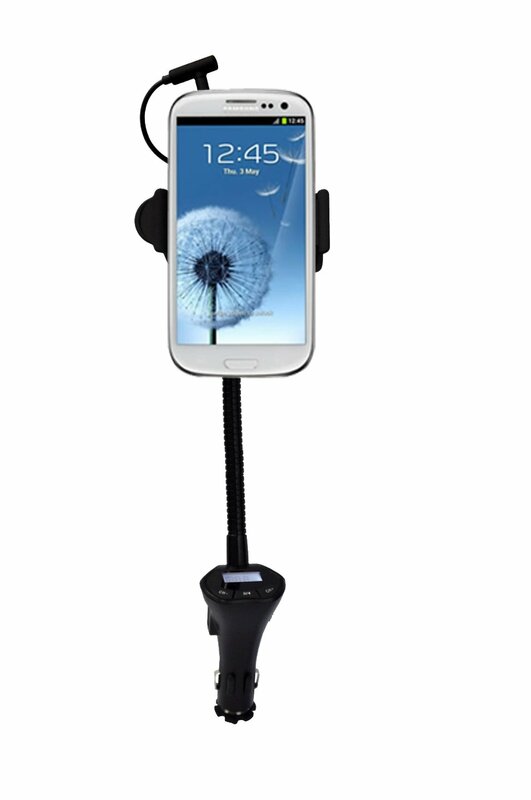 The range of holders is large and everyone can find the best suitable car holder for their device. When android device is being used for longer period of time in car for listening to music or using it for navigation, usually the main problem is that battery runs out quickly. 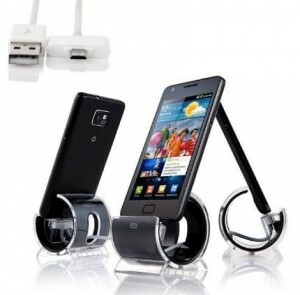 In this case docking station with charger is a useful gadget. Your android device can be charged by cars accumulator through lighter socket, built in car stereo usb port if equipped or other power sockets. Again these holders comes in various looks and sizes, and can suit almost any of your android devices. plays all your music files through car stereo speakers. Concluding all, docking stations for home and car usage can definitely make your android tablet and phone a little more fun, easier to use and more feature richer. At home, android docks can be used as multimedia stations for streaming music from your phone and in same time using it as alarm clock and charger, you can also watch movies on your phone in docking station. In general, features of docking station usage are many and each one can find best suitable dock for their needs. Car docks and holders can help you to use your android device in a car with device holder, charger and fm transmitter to transmit music from android device to car speakers. 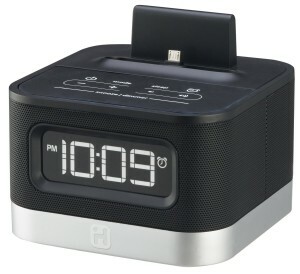 Visit our alarm clock dock article here -> http://www.dockingstationhq.com/top-5-android-alarm-clock-docks/ and there you will find links to amazon products pages for each individual docking station, and there you will be able to purchase them.